Here are some questions/answers that we are frequently asked. If you have additional questions that aren't covered here, please feel free to give us a call at (307)235-4889. Our hospital is open Monday to Friday from 7:30 am to 5:30 pm. On Saturdays and Sundays we are open from 4-4:30 for boarding pick up, drop off, food and medication pick up. 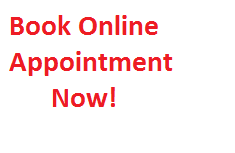 No Saturday appointments are available at this time. Cash, Mastercard, Visa and Discover cards. Spaying or neutering can be done at approximately 6 months of age, depending on species and breed. Your pet is given an exam prior to scheduling surgery to help ensure that your pet is healthy enough to undergo the surgical procedure. We will discuss any concerns, additional treatments during this examination. Current vaccinations are required at the time of surgery. Also a pre-anesthetic blood screening is included in the estimate for all patients undergoing anesthesia and surgery. This is a blood test that is run here in the clinic prior to surgery. It tests the organ functions, blood counts and clotting function of your pet. The pre-anesthetic blood screening is done to assure safety during anesthesia and the ability to heal following surgery. Most of our patients have absorbable sutures that are under the skin and will dissolve in 2 weeks after surgery, without removal. Procedures involving bones or infections may require suture or staple removal in 10-14 days following the surgery. No, there is no advantage to letting your pet have one litter. However there are plenty of advantages to having you pet spayed or neutered. These advantages include decreasing the chances of cancerous breast tumors later in life, decreasing the chance of cystic ovaries and uterine infections later in life for females. In males, neutering decreases the desire to roam the neighborhood, decrease the incidence of prostate cancer later in life, helps prevent spraying and marking. Overall decreases the surplus of homeless puppies and kittens. Yes, we do boarding for our clients and patients. You may become a client by scheduling an exam for your pet. We want to meet you and your pet before their first boarding vacation with us. We have boarding space for both dogs and cats. Current vaccination records are required for the health of all of our patients. Our dog kennels are very large and can accommodate multi-pet families in 1 large kennel. We also have large outdoor kennels, which allows for some fresh air and exercise during the day. We offer "doggie pools" and sun shades outside in the summer months. Unless specifically requested or dogs are boarding together, we do not allow contact between our boarding dogs. The cat boarders are housed in a separate area away from the dogs. Blankets, beds and dry food (Science Diet Sensitive Stomach) are provided for our boarders, but you are always welcome to bring your own. Medications are administered as needed at no extra charge.